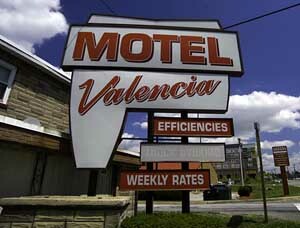 The Valencia Motel. [Source: PBS NOVA]From September 2 (or August 23, according to some reports) until the day before the attacks, five of the hijackers stay in Room 343 at the rundown Valencia Motel in Laurel, Maryland. The five men—Khalid Almihdhar, Majed Moqed, Nawaf Alhazmi, Salem Alhazmi, and Hani Hanjour—are later identified as the hijackers of Flight 77. 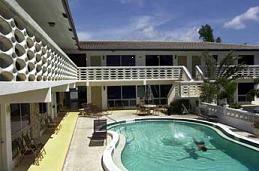 Their suite has only one bedroom, with two double beds. Reportedly, they all leave it at 10 each morning and go out for the day in an old Toyota Corolla with California license plates. 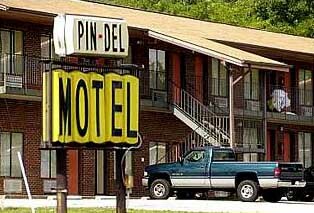 The motel’s manager later will state that only two men rented the room for one week, paying $308 for it with a credit card, though several long-term motel residents will remember a larger group. [Washington Post, 9/19/2001; Baltimore Sun, 9/20/2001; Chicago Tribune, 9/23/2001; Newsday, 9/23/2001; Washington City Paper, 9/28/2001; Cox News Service, 10/15/2001] During their time at the motel the five men show up several times at a nearby gym (see May 6-September 6, 2001). 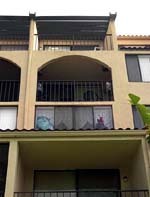 However, there are conflicting accounts that Almihdhar, Hanjour, and Nawaf Alhazmi stayed in San Diego until about September 9 (see Early September 2001). Mike Maltbie, a supervisory special agent with the Radical Fundamentalist Unit at FBI headquarters, writes to Tom Wilshire, a CIA manager stationed with the FBI, about the case of Zacarias Moussaoui and Hussein al-Attas (see August 24, 2001). He tells Wilshire what actions the FBI has taken on the case and concludes by saying, “Please bear in mind that there is no indication that either of these two had plans for nefarious activity as was apparently indicated in an earlier communication.” The word “no” is underlined. [US Department of Justice, 11/2004, pp. 151 ] However, the FBI’s field office in Minneapolis suspects Moussaoui is part of a wider plot to hijack airliners and Maltbie is aware of their concerns (see August 15-20, 2001). Around August 25, 2001, future 9/11 hijacker Nawaf Alhazmi possibly calls Mohdar Abdullah, a close associate of his when he lived in San Diego in 2000, and tells him about the 9/11 attacks date. Shortly after 9/11, the FBI will question Abdullah about getting a call from Alhazmi in August; it is unclear how the FBI would have known to ask that question. In a July 2002 interview with the FBI, Abdullah will ask if the FBI taped the phone call, suggesting that it does take place. In 2003, Abdullah will be in a US jail, and another prisoner will claim Abdullah says he found out about the 9/11 attacks three weeks in advance. Abdullah stops making calls from his phone after August 25, 2001. According to a witness, one day before 9/11, Abdullah and some of his co-workers (who are themselves radical Islamists (see Autumn 2000)) will appear to celebrate the upcoming 9/11 attacks, and one of them says, “It is finally going to happen” (see Late August-September 10, 2001). In 2003 and 2004, more evidence will emerge that Abdullah willingly took part in the 9/11 plot, but he will be deported anyway (see September 2003-May 21, 2004 and May 21, 2004). Hijacker Khalid Almihdhar buys his 9/11 plane ticket on-line using a credit card; hijacker Nawaf Alhazmi does the same two days later, and also buys a ticket for his brother Salem (see August 25-September 5, 2001). Both men were put on a terrorist watch list on August 23 (see August 23, 2001), but the watch list only means they will be stopped if trying to enter or leave the US. There is another watch list that applies to domestic flights that some of their associates are on, but they are only placed on the international watch list (see April 24, 2000). Procedures are in place for law enforcement agencies to share watch list information with airlines and airports and such sharing is common, but the FAA and the airlines are not notified about this case, so the purchases raise no red flags. [Los Angeles Times, 9/20/2001; US Congress, 9/26/2002] An official later states that had the FAA been properly warned, “they should have been picked up in the reservation process.” [Washington Post, 10/2/2002] On September 4 and 5, 2001, an FBI agent will attempt to find Alhazmi and Almihdhar in the US, but will fail to conduct a simple credit card check that should have revealed these purchases (see September 4-5, 2001). Osama Awadallah. [Source: Chris Park / Associated Press]Associates of 9/11 hijackers Nawaf Alhazmi and Khalid Almihdhar in San Diego reportedly change their behavior and seem to be aware that “something big” is about to happen. But it is not clear how they would have obtained this information. The 9/11 Commission will suggest that there is evidence Alhazmi calls Mohdar Abdullah in late August (see (August 25, 2001)). Abdullah, a friend of these two hijackers in San Diego, may have been told some about the 9/11 plot back in 2000 and even invited to join in (see Early 2000 and June 10, 2000). He will later brag to someone in prison that he was told of the attack date three weeks in advance (see Early 2000). In addition, employees at the Texaco station where Alhazmi worked (see Autumn 2000), including one named Iyad Kreiwesh, apparently expect that law enforcement authorities will visit them in the near future. A car rented by 9/11 hijacker Nawaf Alhazmi is queried by police in Totowa, New Jersey. This incident is inputted into the NCIC, a widely used nationwide police database. [Federal Bureau of Investigation, 10/2001, pp. 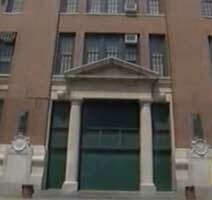 236 ] Alhazmi rented the car, a Chrysler Concorde, on August 20 in nearby Wayne, New Jersey. He used his Florida driver’s license for ID. He stays in the area until September 1, when he returns the car and goes to Maryland. [CNN, 9/26/2001; Federal Bureau of Investigation, 10/2001, pp. 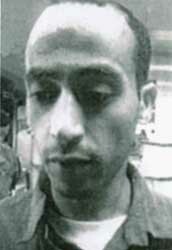 229, 247 ] Alhazmi had been put on a terrorist watch list several days earlier along with his companion Khalid Almihdhar (see August 23, 2001), and the FBI has been tasked to search for them in the US. 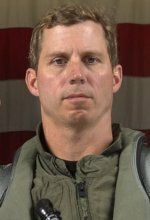 On September 5, 2001, FBI agent Robert Fuller will allegedly search the NCIC database, although evidence suggests he does not actually do so (see September 5, 2001). It is unknown how quickly this incident is added to the database and if it would be there in time for Fuller to discover. FBI headquarters agents Dina Corsi and Rod Middleton contact Justice Department lawyer Sherry Sabol to ask her opinion on the search for 9/11 hijacker Khalid Almihdhar, but Sabol will later say that Corsi misrepresents her advice to other agents. Corsi contacts Sabol, an attorney at the national security law unit, to ask her about legal restrictions on the search for Almihdhar, because of an argument she has had with New York agent Steve Bongardt about whether the search should be an intelligence or criminal investigation (see August 28, 2001 and August 28, 2001). Corsi will later tell Bongardt that Sabol told her that the information needed for the investigation cannot be passed on to criminal agents at the FBI, only intelligence agents, and that if Almihdhar is located, a criminal agent cannot be present at an interview. [US Department of Justice, 11/2004, pp. 307-8 ] Corsi’s understanding of the issue is wrong, and the “wall,” which restricted the passage of some intelligence information to criminal agents at the FBI, does not prevent the information in question being shared with criminal agents (see August 29, 2001). The 9/11 Commission will comment that Corsi “appears to have misunderstood the complex rules that could apply to the situation.” [9/11 Commission, 7/24/2004, pp. 271] In addition, Sabol will later insist that her advice was very different than what Corsi claims it is. She will deny saying a criminal agent could not interview Almihdhar, arguing that she would not have given such inaccurate advice. She will also say the caveat on the intelligence information from the NSA would not have stopped criminal agents getting involved and, in any case, the NSA would have waived the caveat if asked. (Note: the NSA did so at Corsi’s request just one day earlier (see August 27-28, 2001), but presumably Corsi does not tell Sabol this.) [9/11 Commission, 7/24/2004, pp. 271] Larry Parkinson, the FBI’s general counsel at this time, will later say there was no legal bar to a criminal agent being present at an interview and that he would be shocked if Sabol had actually told Corsi this. [9/11 Commission, 2/24/2004] Furthermore, Corsi apparently does not tell Sabol that Almihdhar is in the US illegally. The illegal entry is a crime and means criminal FBI agents can search for him (see August 29, 2001). Harry Samit, an agent at the FBI’s Minneapolis field office, drafts a memo to the FAA summarizing the facts of the Zacarias Moussaoui case. In it, he writes, “Minneapolis believes that Moussaoui, [his roommate Hussein] al-Attas, and others not yet known were engaged in preparing to seize a Boeing 747-400 in commission of a terrorist act. As Moussaoui denied requests for consent to search his belongings and was arrested before sufficient evidence of criminal activity was revealed, it is not known how far advanced were his plans to do so.” He also mentions Moussaoui’s physical and marital arts training and expresses concern that France, where Moussaoui will soon be deported, may not be able to hold him or his property for long. But Mike Maltbie of the FBI’s Radical Fundamentalist Unit (RFU) instructs the Minneapolis field office not to send the memo because he is also drafting a memo on the Moussaoui case that will be sent to the FAA and other agencies. However Maltbie’s memo lacks a threat assessment and does not mention Minneapolis’ suspicions that Moussaoui might be planning a terrorist act involving a hijacked airplane. The memo does not result in any FAA action. [US Department of Justice, 11/2004, pp. 174-7 ; Los Angeles Times, 3/20/2006] A meeting between Samit and a Minneapolis FAA officer will also fail to produce any FAA action (see September 4, 2001). The Bush administration attempts to repair its relation with Saudi Arabia after a dramatic letter from Saudi Crown Prince Abdullah. On August 27, 2001, Abdullah, the de facto leader of Saudi Arabia, sent a message to President Bush threatening to end the Saudi alliance with the US because of what they see as US favoritism towards Israel (see August 27, 2001). Two days later, Bush sends a two-page letter to Abdullah: “Let me make one thing clear up front: nothing should ever break the relationship between us. There has been no change in the strategic equation. I firmly believe the Palestinian people have a right to self-determination and to live peacefully and securely in their own state, in their own homeland, just as the Israelis have the right to live peacefully and safely in their own state.” Journalist Bob Woodward will later note that this “was a much bigger step than President Clinton had taken. Even as Clinton had tried to fashion a Middle East peace agreement as his legacy, he had never directly supported a separate Palestinian state.” On September 6, Abdullah replies, “Mr. President, it was a great relief to me to find in your letter a clear commitment confirming the principle in which the peace process was established. I was particularly pleased with your commitment to the right of the Palestinians to self-determination as well as the right to peace without humiliation, within their independent state.” The Saudis appear appeased. [Woodward, 2006, pp. 77-79] Also on September 6, Bush holds a meeting with his top advisers and suggests a change of policy towards Palestine, including public support for a separate Palestinian state. However, days before Bush is to announce these new policies, the 9/11 attacks take place. None of the planned US policy changes materialize (see September 6, 2001). 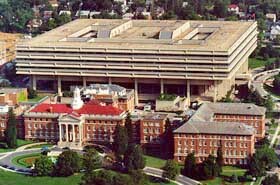 According to author Lawrence Wright, on this day there is a conference call between FBI field agent Steve Bongardt, FBI headquarters agent Dina Corsi, and a CIA supervisor at Alec Station, the CIA’s bin Laden unit, who tells Bongardt to stand down in the search for future 9/11 hijacker Khalid Almihdhar. Corsi and Bongardt have been arguing over whether the search for Almihdhar in the US should be a criminal or intelligence investigation (see August 28, 2001 and August 28, 2001), and the CIA supervisor apparently sides with Corsi, saying the search should be an intelligence investigation, and so Bongardt, a criminal agent, cannot be involved in it. Bongardt is angry with this and remarks, “If this guy [Almihdhar] is in the country, it’s not because he’s going to f___ing Disneyland!” [Wright, 2006, pp. 353-4] However, there will be no mention of this conversation in the 9/11 Commission Report or the Justice Department’s report into the FBI’s performance before 9/11. [9/11 Commission, 7/24/2004, pp. 271; US Department of Justice, 11/2004, pp. 306-7 ] According to the Justice Department report, there is a similar conference call between Bongardt, Corsi, and her supervisor at the FBI around this time (see August 28, 2001). It is possible Wright is confusing the supervisor of the CIA’s bin Laden unit with the supervisor of the FBI’s bin Laden unit, meaning that the CIA supervisor is not involved in this argument. A CIA officer involved in the Moussaoui case contacts a fellow CIA officer assigned to the FBI and complains about the FBI’s inability to obtain a warrant to search Zacarias Moussaoui’s belongings, which contain enough information to potentially prevent 9/11 (see August 16, 2001). The officer writes: “Please excuse my obvious frustration in this case. I am highly concerned that this is not paid the amount of attention it deserves. I do not want to be responsible when [Moussaoui and his associate Hussein al-Attas] surface again as members of a suicide terrorist op… I want an answer from a named FBI group chief [note: presumably Dave Frasca, head of the FBI’s Radical Fundamentalist Unit] for the record on these questions… several of which I have been asking since a week and a half ago. It is critical that the paper trail is established and clear. If this guy is let go, two years from now he will be talking to a control tower while aiming a 747 at the White House.” One of these two CIA officers may be Tom Wilshire, who is involved in the Moussaoui case (see August 24, 2001). CIA director George Tenet will write, “This comment was particularly prescient because we later learned after 9/11 that Moussaoui had in fact asked Osama bin Laden for permission to be able to attack the White House.” [Tenet, 2007, pp. 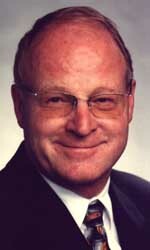 203] Greg Jones, an FBI agent involved in the case, makes a similar prediction, but guesses that the target will be the World Trade Center, not the White House (see August 27, 2001). 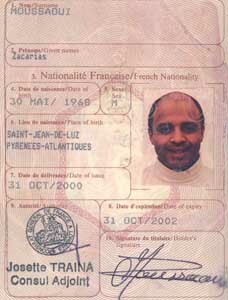 The information sent by the French included a photocopy of this page of Moussaoui’s French passport. [Source: FBI]French authorities provide the FBI’s representative in Paris with additional information about Zacarias Moussaoui, and he forwards this information to the FBI’s Minneapolis field office and headquarters (see August 22, 2001 and Late 1999-Late 2000). The French say that according to an acquaintance of the suspected militant, Moussaoui is a radical Islamic fundamentalist who is potentially very dangerous. They warn that Moussaoui, who was radicalized at London’s Finsbury Park mosque, is devoted to Wahabbism, the Saudi Arabian sect of Islam that is adhered to by bin Laden (see 1994), and has traveled to Kuwait, Turkey, and Afghanistan (see 1995-1998). 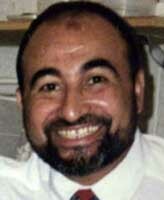 According to the French, the acquaintance also revealed that Moussaoui is a “strategist” and described him as “a cold stubborn man, capable of nurturing a plan over several months, or even years and of committing himself to this task in all elements of his life.” The French also tell the FBI that they would be willing to have Moussaoui deported back to France. [US Department of Justice, 11/2004, pp. 169-170 ; Associated Press, 3/20/2006] Describing the French report to the FBI, a French justice official later says that France “gave the FBI ‘everything we had’” on Moussaoui, “enough to make you want to check this guy out every way you can. 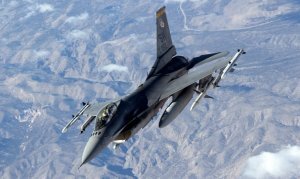 Anyone paying attention would have seen he was not only operational in the militant Islamist world but had some autonomy and authority as well.” [Time, 5/27/2002] And the French interior minister will similarly state, “We did not hold back any information.” [ABC News, 9/5/2002] “Even a neophyte working in some remote corner of Florida, would have understood the threat based on what was sent,” one senior French investigator later explains. [Time, 8/12/2002] The FBI decides (see (August 30-September 10, 2001)) to deport Moussaoui back to France. At a meeting in Paris several days later (see September 5-6, 2001), French authorities will again warn their US counterparts about Moussaoui and his connections. Future 9/11 hijacker Fayez Ahmed Banihammad attempts to get into an airplane cockpit on a test flight across the US, according to flight attendant Gregory McAleer. McAleer is employed by United Airlines. He will later claim to the 9/11 Commission that on August 30, 2001, he is working on Flight 514, a Boeing 737-300 flying from Chicago’s O’Hare Airport to Logan Airport in Boston. Strange Encounter - Early in the boarding process a Middle Eastern male enters the airplane with a “jump seat” pass. This pass allows the person to sit in the jump seat, an extra seat in the airplane’s cockpit. Typically, only licensed pilots employed by US domestic airlines are given these passes. The man is not dressed in a pilot’s uniform, but wears casual clothes and carries a suitcase. McAleer sees this man entering the cockpit and talking to the pilot and copilot. After a few moments, the man leaves the cockpit and takes a seat in the coach section. McAleer is curious and asks the pilot about the man. The pilot says the man can’t use the jump seat since he doesn’t have the proper ID. Later in the flight, McAleer has a chance to question the man while both of them are waiting to use the lavatory. The man claims to be a pilot for a regional airline, but when McAleer, who has a pilot’s license, asks him questions about his job and his knowledge of flying, the answers don’t add up and the man also asks him some suspicious questions. McAleer finds the man’s behavior so suspicious that he wonders at the time if he could be a terrorist. FBI and United Airlines Not that Interested - Several days after 9/11, McAleer will contact the FBI’s Chicago field office about the incident. An FBI agent takes his information, but does not seem very interested or even comprehending about the jump seat idea. Several days after that, McAleer describes the incident to a United Airlines flight attendant supervisor. After conferring with a manager, the supervisor tells him: “Do not talk to the FBI again. I went to [United Airlines assistant station manager] Mitch Gross and he told me to tell you not to talk to the FBI again. If you have any concerns you can call the [United Airlines] Crisis Center. The FBI agents are working on the case.” McAleer gives the information by phone to the Crisis Center, but he still is unsatisfied. He later tells the story to Gross, and Gross tells him, “You are not to talk to anyone about this.” On September 27, 2001, McAleer will read a local newspaper article that shows the pictures of all of the 9/11 hijackers for the first time (see September 27, 2001), and he quickly concludes that hijacker Fayez Ahmed Banihammad was the suspicious man who had flown on Flight 514. McAleer continues to try to raise the issue, for instance with United Airlines corporate security, but without much success. 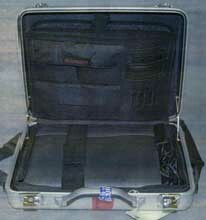 Following the collapse of the FBI’s attempts to search Zacarias Moussaoui’s belongings (see August 28, 2001), the FBI begins working on a plan to deport him to France so his belongings can be searched there. The French ask that a law enforcement officer from the US accompany Moussaoui. The FBI’s Minneapolis field office and the FBI’s assistant legal attache in Paris ask that Minneapolis agent Harry Samit and an INS agent go to France with Moussaoui to brief the French and await the results of the search of his belongings. Radical Fundamentalist Unit (RFU) chief Dave Frasca opposes this plan. Michael Rolince, head of the bureau’s International Terrorism Operations Section, opposes it as well, later claiming that he thought Samit might try to obtain information from Moussaoui on the journey. For several days, Frasca and one of his subordinates, Mike Maltbie, continue to haggle with Minneapolis over whether Samit can accompany Moussaoui. But when the French and the assistant legal attache insist, they drop their objections. [US Department of Justice, 11/2004, pp. 171-3 ] Minneapolis is highly unsatisfied with this solution and would have preferred to obtain a warrant to search his belongings. Samit writes before 9/11 that deporting Moussaoui “was a distant third in my list of desired outcomes, but at this point I am so desperate to get into his computer I’ll take anything.” [Federal Bureau of Investigation, 9/10/2001 ] Samit will later accuse the RFU of “criminal negligence” because they were trying to “run out the clock” and deport Moussaoui, instead of prosecuting him. [Washington Post, 3/21/2006] The 9/11 attacks occur before the deportation can take place (see September 11, 2001). A Daily Telegraph article later claims that Iraq leader Saddam Hussein puts his troops on their highest military alert since the Gulf War. A CIA official states that there was nothing obvious to warrant this move: “He was clearly expecting a massive attack and it leads you to wonder why.” Hussein apparently makes a number of other moves suggesting foreknowledge, and the article strongly suggests Iraqi complicity in the 9/11 attacks. [Daily Telegraph, 9/23/2001] Iraq will later be sued by 9/11 victims’ relatives on the grounds that they had 9/11 foreknowledge but did not warn the US. According to the 9/11 Commission, on this day “A new listing for [9/11 hijacker Khalid] Almihdhar was placed in an INS and Customs lookout database, describing him as ‘armed and dangerous’ and someone who must be referred to secondary inspection.” However, this information will only first appear in a little-noticed Commission staff report released one month after the 9/11 Commission Final Report. 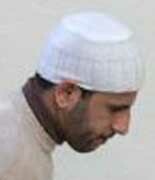 It will not be explained who determined Almihdhar to be armed and dangerous or what information this was based on. [9/11 Commission, 8/21/2004, pp. 31 ] By September 5, 2001, the lookout database will be inexplicably changed and inspectors will be told not to detain Almihdhar after all (see September 4-5, 2001).